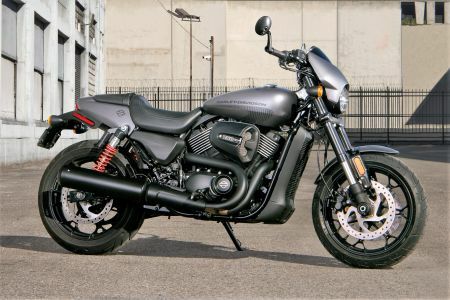 It promised to raise eyebrows and reset expectations and the Street Rod certainly seems to be doing that – ticking boxes for sports bike fans, custom enthusiasts and current Harley owners. We don’t want to spoil the whole article for you, so please head over to the MCN website for the full one. With 13 UK journalists having travelled to Marbella to put the new Street Rod through its paces, there are still more reports to come, but so far the verdict is good and we can’t wait to take delivery of the new bike so that we can take it for a ride ourselves. That is, of course, if they hang around in the dealership long enough! We’re expecting high interest and demand for the Street Rod, especially with the affordability offered by its £6,745 OTR price tag. -New High Output Revolution X™ 750 V-twin engine – produces higher peak power and torque with an extended rev range. -New chassis geometry and 17in front and rear wheels net fast, responsive steering. -43mm USD forks matched to remote reservoir dual rear shocks. -Three paint options to show off the Street Rod’s Dark Custom™ style to the maximum: Vivid Black, Charcoal Denim and Olive Gold. Get in touch today to find out more about the exclusive event or to register early interest for the new Street Rod. We look forward to seeing you on May 4th.